BELIEVE ME WHEN I SAY; You can achieve at the click of a finger what it takes others a whole lifetime to achieve. Case in point?? DESTINY OR FATE? 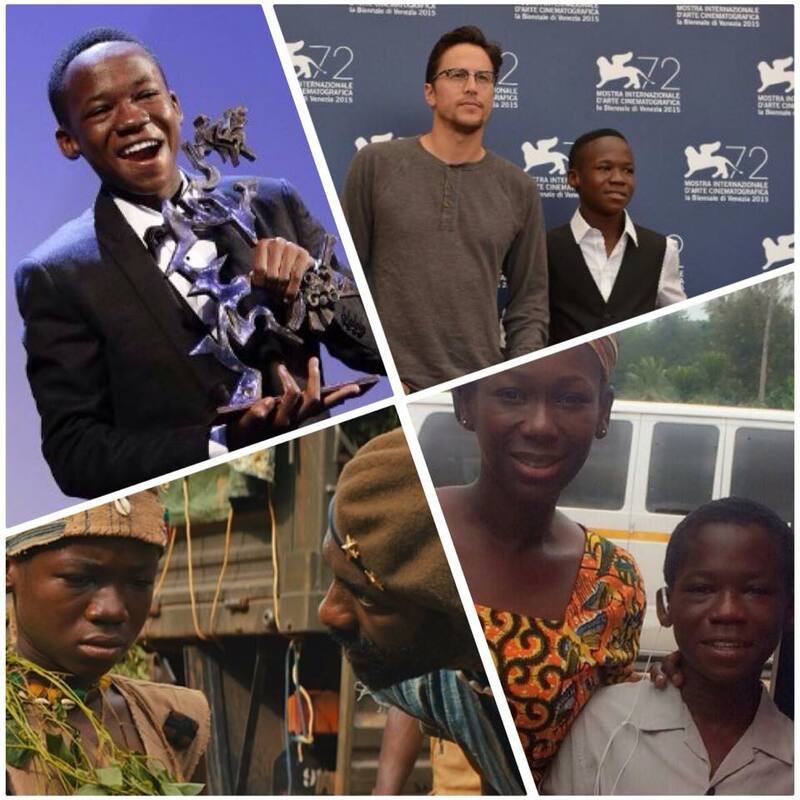 :: A 14-year old Ghanaian street vendor, Attah Abraham has won the Marcello Mastroianni’s Best Young Actor Award at the 2015 Venice Film Festival. He won the award for his lead performance in a movie alongside Idris Elba. Attah Abraham who is said to be without any acting background was picked from the streets of Ghana during the shooting of Netflix’s soon to be released movie “Beasts of No Nation.” Director of the movie, Cary Fukunaga according to the Business Insider said: “the lead in ‘Beasts of No Nation’ was essentially a street vendor before we shot the film. [He had] zero film experience, little education…but he became a somewhat professional actor, which was astounding to watch.” Fukunaga added that, “his unlikely star’s name is Abraham Attah, and he is a 14-year-old who plays an 11-year-old child soldier in the film. Abraham’s only acting experience could have been the war games he played with his fellow street kids in the little alleys where they lived and played. Little did he imagine that mimicking the war scenes he may have watched on countless occasions in the movies would be his ticket out of poverty and that this was going to be the occasion when he gets honoured on an international stage but God knew the beginning from the end. Lesson? Whatever you do, do with passion and unity of purpose. Things may be rough now but your ‘one day’ will come when you least expect it. I know so. This entry was posted on September 15, 2015 at 11:19 and is filed under Uncategorized with tags Africa, DreamBig, Education, Facebook, Forgiveness, History, Hope, Inspiration, Life, Life Lessons, Love, TrustInGod. You can follow any responses to this entry through the RSS 2.0 feed. You can leave a response, or trackback from your own site.